Jeremy Fiorelli's Twin City MTA Page! 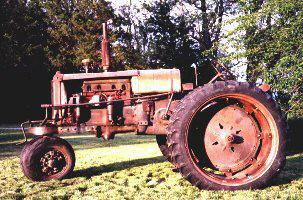 This is a 1937 Minneapolis Moline Twin City MTA tractor with factory 7.00 X 40 rear duals. The MT was introduced in 1931 and produced until 1934. 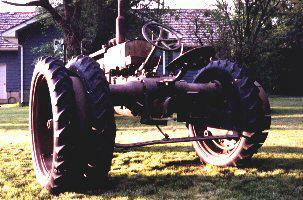 This tractor was very simular to the standard KT (Kombination Tractor) introduced in 1929. The MT used the same engine and transmission as the KT but had a narrow front end and wider rear axles. 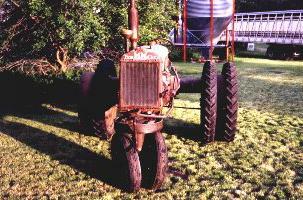 This was the first Twin City row crop tractor. In 1935 it was replaced by the improved MTA (Pictured above). Also in 1935 the MM replaced the TC on the radiator and Minneapolis Moline was added to the name on the improved KTA, MTA, and FTA modles. The MTA would remain in production until 1938 when the Modle U would take it's place. 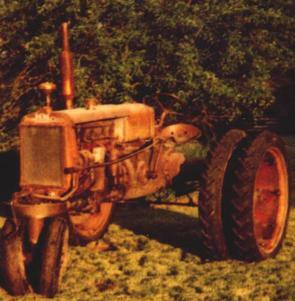 The Twin City name was removed from the U tractor shorting the name to Minneapolis-Moline.